PT Petrosea Tbk. is a multi-disciplinary mining, infrastructure and oil & gas services Company with a track record of achievement in Indonesia since 1972. Drawing on rich and varied years of experience throughout the Indonesian archipelago, Petrosea is now recognized as one of Indonesia’s leading contractors. We offer a competitive advantage through our ability to provide complete pit-to-port mining solutions, integrated engineering and construction capabilities as well as logistic support, whilst demonstrating absolute commitment to health, safety & environment, quality management, and business integrity. 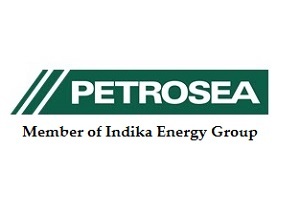 Petrosea is supported by its main shareholder, PT Indika Energy Tbk., an integrated Indonesian energy company, providing its customers with integrated energy solutions through its complementary investments in the areas of energy resources, energy services and energy infrastructure. PT Petrosea has established its unique corporate image, cultural spirit, performance guidelines, core values and staff code of conduct following years of engagement in production, business and operation management. Petrosea currently requires applicants for the following positions. Manage warehouse in compliance with company’s policies and vision. Setting up layout and ensure efficient space utilization. Responsible to manage day to day operation for receiving, ordering, storing, issuing, shipping, and auditing all material and equipment in assigned warehouses at work site, in order to ensure smooth and timely material management from/to the warehouse and ensures workplace health and safety requirements are met and takes responsibility for the security of the material inside the warehouse. Devising ways to optimize inventory control procedures. Coordinate and schedule warehouse operations including shipping and receiving. Ensured the proper handling and storage of supplies brought into the warehouse. Ensure proper inbound / outbound documents for all orders. Ensure proper execution and implementation of all policies procedures with regard to picking, packing, shipping, receiving, and inventory management. Ensure space and racking arrangement meet material characteristics, type, volume, weight, selves’ life and strictly follow SOP and procedures. Ensure goods received are checked against manifest, PO, and certificates any deviation shall be put aside for NCR reports and resolution, GR on SAP system shall be performed same day. Ensure goods issued are checked against MR document, MN, description, bin number and quantity. Materials should be properly packed to protect from defect during delivery transit, GI in SAP system should be performed same day. Arrange and support inventory control includes preservation, cycle count, internal and external Audits in accordance with SOP and Policy. Assist Base Manager to focus on developing and implementing a training and development programmer which is intended to increase the skills of its IP and Papuan workforces to meet employment quotas outlined under Papuan Local Content commitment. Maintain and implement comprehensive Safety and Operational Management System (SOMS) which outlines HSE plan and Operational process, procedures and work instructions as are deemed necessary to ensure and maintain safe, efficient and compliant supply base operations. Strictly follow and implement all company/client and or bridging policy, procedures and specific Work Instruction (WI) at location site. Minimum bachelor degree with minimum 5 years working experience in warehousing for oil and gas industry or mining industry, or Diploma degree with minimum 10 years working experience in warehousing for oil and gas industry or mining industry, or Senior High School graduate with minimum experience 15 years working experience in warehousing for oil and gas industry or mining industry. At least 2 year verifiable experience as Warehouse Supervisor. Must have understanding on managing warehouse operations from receiving activity, material storage, cargo handling, and shipment. Must have skill and experience on HSE leadership, dangerous goods transport, handling and storage, lifting and slinging appreciation. Understand and able to implement Control of Work System. Have experience and skill on materials identification and its related certification especially for materials that used in oil & gas industry and drilling operations. Familiar with Online Inventory Management System (e.g. SAP, JDE, Oracle, Maximo) especially to record incoming materials. Familiar with goods for oil and gas industry. Familiar with and have good knowledge of ISO 14001 Environmental Management System. Excellent knowledge of data analysis and forecasting methods. To enhance the competencies of individual employees by designing and conducting training programs that will boost employees workplace performance in alliance with company’s core values and performing training needs assessments, designing and delivering curriculum and learning materials and for managing all phases of training interventions. Map out training plans, design and develop training programs (outsourced or in-house) for site project, HR training and more. Choose appropriate training methods or activities (simulations, mentoring, on the job training, professional development classes, etc.). Market available training opportunities to employees and provide necessary information. Conduct organization wide training needs assessment and identify skills or knowledge gaps that need to be addressed. Use accepted education principles and track new training methods and techniques. Design and prepare educational aids and materials. Assess instructional effectiveness and summarize evaluation reports determining the impact of training on employee skills and how it affects KPIs. Partner with internal stakeholders and liaise with matter experts regarding instructional design. Provide train-the-trainer sessions for internal subject matter experts. Manage and maintain in-house training facilities and equipment. BS degree in Education, Training, HR or related field. Send your detailed resume including recent photograph and quoting in email to recruitment.POSB@petrosea.com and cc to: recruitment.jakarta@petrosea.com in Microsoft Word or PDF format with a file size not more than 350kb, not later than 22 June 2017. Please be aware of certain frauds or misinformation regarding recruitment advertising on behalf of Petrosea. We never ask for any payments whatsoever from applicants or candidates during the recruitment process. We never ask applicants or candidates to use specific travel agent services to make arrangements for transportation and accommodation during the recruitment process. Thanks for reading PT Petrosea Jobs: 2 Positions. Please share...!